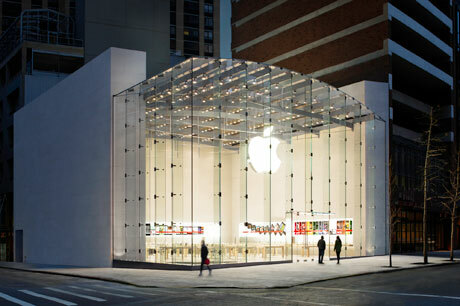 Message in the Media: Is Apple above strategic PR? Is Apple above strategic PR? How does Apple get away with flouting all accepted comms practices? Despite being the world's largest company by market cap, Apple doesn't issue that many press releases. Yet there is a global media audience hungry for its news. And there are millions of consumers and tech-heads desperate for an Apple fix. So how does Apple control how its corporate message plays out in the media? On 29 October, with the American media focused on Hurricane Sandy and the New York Stock Exchange closed ahead of the storm, Apple issued a press release announcing a management shake-up by new CEO, Tim Cook. Cue global coverage. So how did a plain press release about changes to the organisational chart to 'increase collaboration across hardware, software and services' lead to The Wall Street Journal running the headline 'the Tim Cook era at Apple really begins' and the Financial Times 'Apple reboot'? Now a PR professional like you and me would pre-brief a few key corporate media journalists. As a listed company, Apple would be expected to want big names such as the FT, WSJ, New York Times, Reuters etc to get the right message about strong leadership and management. But not Apple. Such is the worldwide hunger for Apple news that it feels it would have little impact. It's just too big a brand. A few pre-briefed articles would be swamped by the global coverage generated by the press release, the speed at which it would happen, and the social media speculation. Instead, Apple seems to trust to the power of its corporate brand and has confidence that in the places that matter, speculation will be informed. And if it is not in the places that matter, it is ignored. It is contrary to the PR rule book - as is its extensive use of 'no comment'. But it seems to matter not a jot. Just as the BBC brand can withstand the Savile scandal and Sachsgate, so Apple can currently rely on an instinctive response to its announcements. It's not to say that there is no role for PR - for Apple or the BBC - but can brands grow to a size that means they don't need strategic PR any longer? Ultimately, Apple's existing brand and corporate reputation will stand or fall on its ability to continue to innovate in the face of competition. For now, Apple's brand and overarching corporate narrative is strong enough that, for example, it didn't need to offer reasons for the departure of two key executives (including one appointed by Cook a mere six months ago); it can endure the speculation. But as Facebook's recent history has shown, when you misstep and suffer poor PR, you get strategic reputational damage. And then management really wants some strategic PR. Nice ad - but where's the PR?